The release of Resident Evil 2 Remake is just a little over a month away, and every scrap of new footage is being eagerly devoured by fans awaiting the beloved survival-horror title’s return. 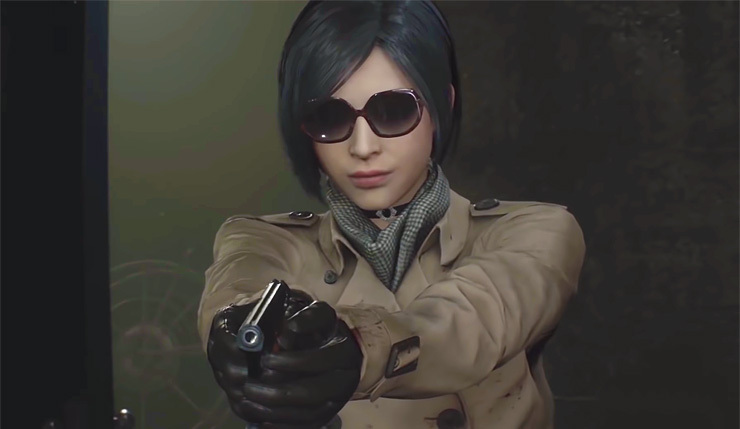 Our latest chunk of gameplay comes courtesy of IGN, and shows the updated version of the classic scene where Leon and Ada confront the paranoid scientist Annette Birkin. Check it out, below. It’s clear Capcom is putting a lot of effort into recreating even Resident Evil 2’s less-important characters. In addition to the Annette Birkin confrontation, we get a peek at Ada’s new “secret weapon,” the EMF Visualizer, which allows her to detect important things hidden within walls and remotely control electronics. Should make for some fun new puzzles! While we’re at it, here’s a bit more footage from the Japanese Capcom TV show. It provides a look at Leon’s Noir outfit and filter, which turns the game into a black-and-white hardboiled adventure, except with zombies in place of the usual gangsters. The black-and-white should make dark scenes even more creepy. Resident Evil 2 Remake shambles onto PC, Xbox One, and PS4 on January 25, 2019. Deluxe and Collector’s editions are also available.